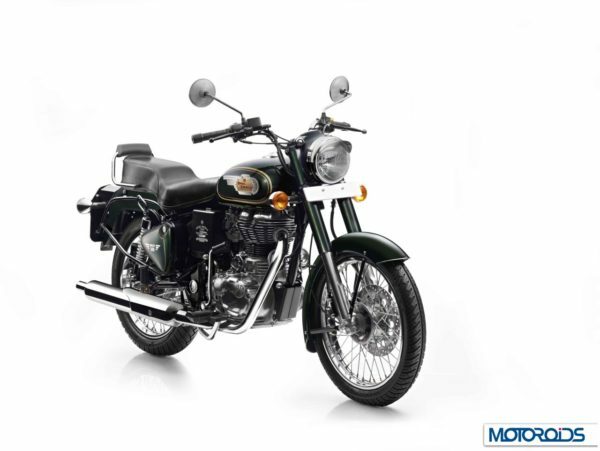 The bike maker’s longest selling motorcycle range, the Royal Enfield Bullet now comes with a factory fitted rear disc brake as standard. 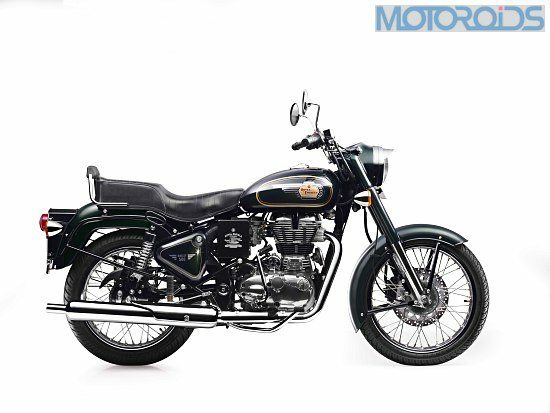 An iconic name which is often used for RE’s other range of motorcycles too, until now, the Bullet was only sold with a front disc and rear drum brake as standard. All the three motorcycles – The Bullet 350 Standard, the Bullet 350 ES and the Bullet 500, benefit from this new addition which aids safety and rider confidence. Prices (Ex-delhi) for the Bullet range now begin at INR 1.28 lakh for the Standard 350, INR1.32 lakh for the 350 ES and INR 1.73 lakh for the Bullet 500. There are not other mechanical or visual changes. Powering the 350 cc bikes is a 346cc, single-cylinder engine that makes 20hp at 5,250rpm and 28Nm of torque at 4,000rpm. The Bullet 500 on the other hand, is powered by a 499cc engine, which cranks out 28hp at 5,250 rpm and 41.3Nm of torque at 4,000rpm. With new regulations kicking in next year, which require all 125cc+ motorcycles to be fitted with ABS, the Bullet range will also have to carry another update in the form of at least a single-channel kit. Most manufacturers are busy updating their portfolio to meet the upcoming mandate and expect a marginal price hike once that happens. Major updates and product launches are also being postponed beyond April 2020, as that is when the new BS VI norms will kick in and manufacturers will want their new portfolio to be readily compliant, rather than trying to clear old inventory at the last minute. We recently had an opportunity to review the ABS equipped Royal Enfield Himalayan, where the equipment is non-switchable. The video above should help you to find out if it has enhanced braking on the most affordable ADV bike on sale in India.